Time: Intensive weekend study begins Friday evening, all day Saturday, and ends on Sunday evening. 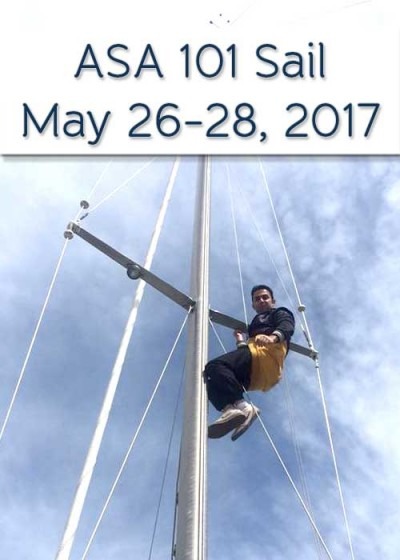 Our goal at Sail Buffalo is to help students to become safe, confident sailors. We promise to give you the tools necessary to excel beyond the requirements of the ASA national course examinations. By the end of this class you will be able to skipper a sloop-rigged keelboat of approximately 20 to 27 feet in length by day in light to moderate winds (up to 15 knots) and sea conditions. Knowledge of basic sailing terminology, parts and functions, helm commands, basic sail trim, points of sail, buoyage, seamanship and safety including basic navigation rules to avoid collisions and hazards. Auxiliary power operation is not required. ~ ASA 101 Basic Keelboat Sailing. And intensive weekend that begins Friday evening and ends late Sunday night.